I remember those late nights with both of my kiddos. Or was it early mornings? In those first weeks of new parenthood, we tried every trick in the book to get our sweet new babes to sleep. It always seemed that once we found something that worked, they changed their preferences. One tool that was a favorite for bedtime and naps with both of my children was our swing! There were countless times that I was overwhelmed with gratitude for my swinging contraption. 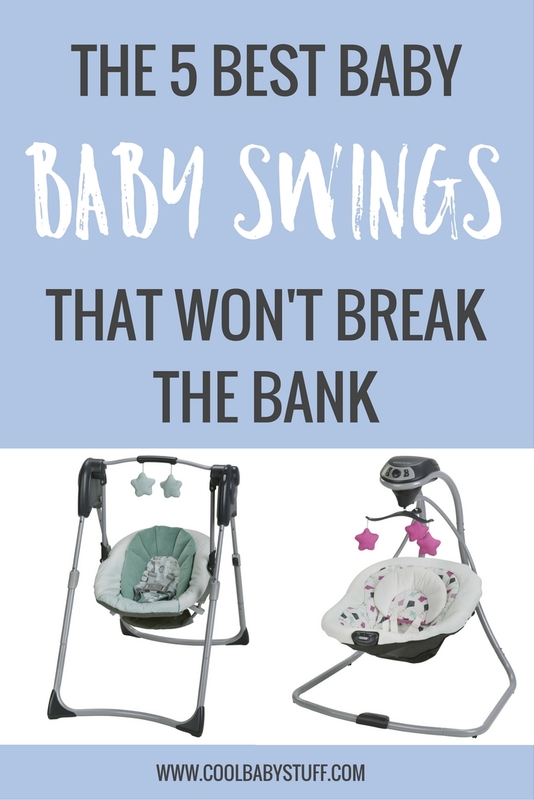 If you’re on the market for a swing here are the best baby swings that won’t break the bank. Before the baby comes, here are 7 tasks you must accomplish. When looking for the best baby swings, look no further. The Graco Slim Spaces Compact Baby Swing is the swing that we have used for both of our kids. The main reason that we chose it was because we lived in a small space with very little storage so we needed something that didn’t take up too much space in our itty-bitty living room. This swing was perfect for that! The swing folds in half, it includes a few soft play toys, reclines and the height can be adjusted. Our only qualm with the Slim Spaces Swing is that it takes batteries. We weren’t a huge fan of the waste but it did make it more portable and easy to move around. The Comfort and Harmony Portable Swing is my second pick. This swing is similar to Graco’s Slim Spaces Compact Swing except it includes all of the gadgets and is even smaller, making the maximum weight 20lbs. The perks of his swing are that it plays 6 different melodies with adjustable volume, swings at 6 different speeds and has adjustable plush seating. If you’re wanting something small with built in tools/ gadgets, this swing if for you! Graco works hard to make affordable swings, car seats and strollers that deliver as exceptional quality as the “other brand” and this swing is no exception. The Graco Simple Sway is a swing that swings side to side instead of back and forth and that’s what sets this swing apart from the others on my list. Like the Comfort and Harmony Swing it swings at six different speeds but it offers 15 songs compared to the CH’s 6 songs. That’s more than double the selection! My favorite perk about this swing, aside from it’s comfort is that you can choose to plug it in or use the battery operated option. This allows you to bring it along without having to worry about having an available outlet while still utilizing power while your at home. You’re enjoying the convenience without forsaking the environment. Right up my alley! The Ingenuity ConvertMe comes in as the most expensive on this list BUT it is a two in one appliance, making it cost effective and space efficient. This Swing is a swing and a vibrating bouncer in one! Even though this device includes two appliances, Ingenuity still delivered on size. This swing folds small, making it easy to store in small spaces. 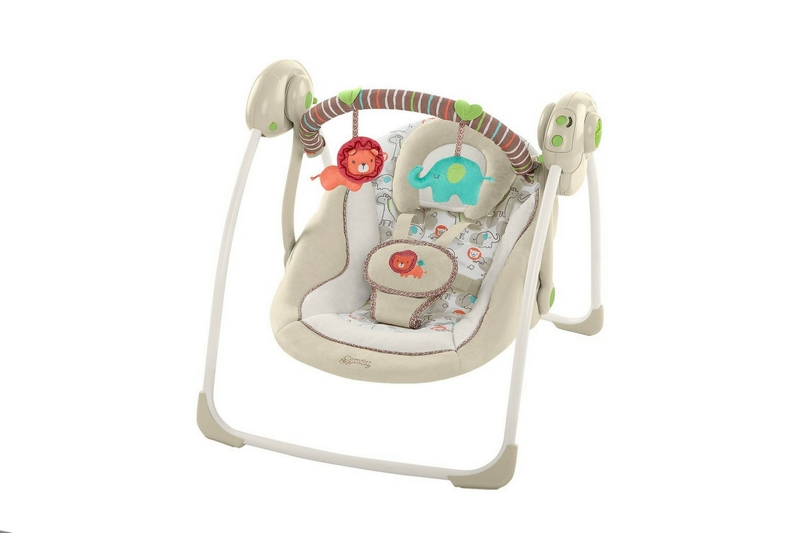 With this swing, your baby can enjoy five swing speeds, 8 melodies and three nature sounds! I love the variety in tunes with this one! Not only is this swing a two in one but it comes in neutral tones so that it is easy to use for future children, boy or girl. Graco is at it again! The Graco Glider LX swing is actually a glider; the construction of this swing gives it more of a gliding motion instead of your traditional swinging motion. This swing can be used for newborns (5.5lbs) to those early toddler months (30lbs) and the comfortable plush seat cushion can adjust as your little one grows. The LX vibrates, reclines, swings at 6 speeds and plays 10 melodies +5 other sounds, so it is sure to meet the needs of even the pickiest babies. 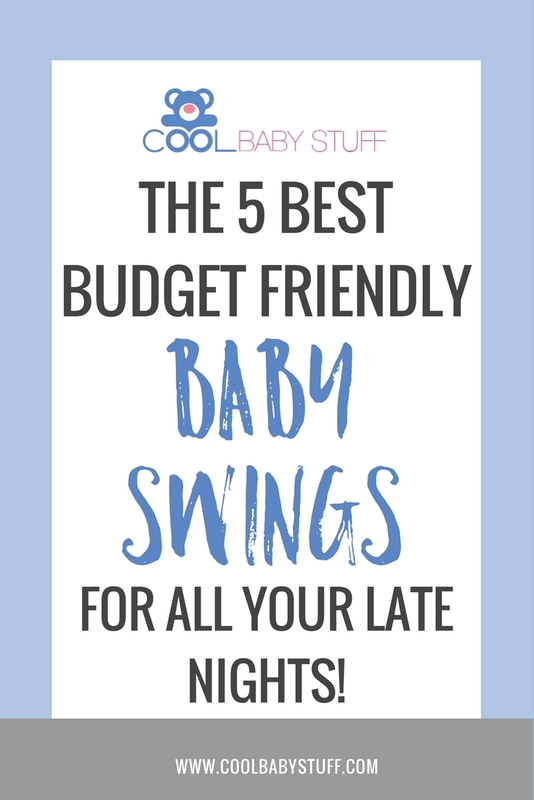 What are the best baby swings you have used?